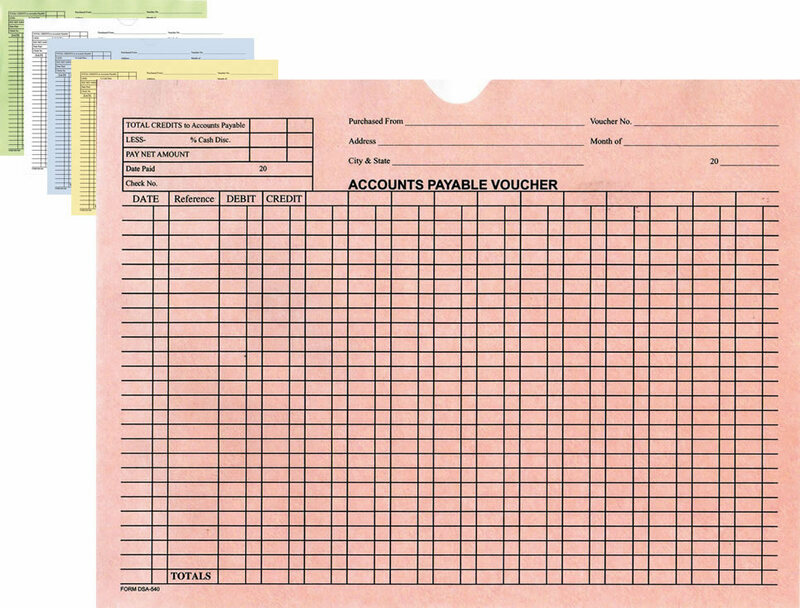 Accounts Payable Voucher Envelope for auto dealerships: Use these general accounting style Accounts Payable Folders to keep all your auto dealership's vendor invoices, statements and receipts in one convenient location. Including Accounts Payable Folders in your accounting procedures and systems will allow your business office to balance statements faster and easier, additionally helping to avoid costly mistakes. In fact, any business concerned with it's accounts payable procedures and systems will find this A/P Voucher File Jacket valuable when added to their filing system method. This Accounts Payable Voucher Envelope can be custom designed to match your specific business needs, or purchased now with the generic design pictured. To place a custom order, please call 866-348-6414. Ask about our FREE design service! COMPARE OUR PRICE to Great American Automotive Products. THEY'RE MORE EXPENSIVE … American's Price is 250 @ $90 (#BFA1650) … for their comparable Accounts Payable Voucher Envelopes.